There are two major types of lawsuits pending against Johnson & Johnson over talcum powder. The first type involves claims that the company’s signature baby powder causes ovarian cancer in women. The second set of lawsuits allege Johnson & Johnson knowingly allowed talcum powder contaminated with asbestos–the primary cause of mesothelioma–onto the market. 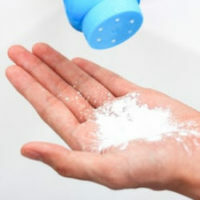 In 1971, Reuters said researchers at Mount Sinai Medical Center began looking into the connection between talcum powder and patients who developed mesothelioma despite having no workplace exposure to asbestos. The researchers ultimately told the federal government that “two unidentified brands of cosmetic talc appeared to contain asbestos.” This prompted the U.S. Food and Drug Administration (FDA) to open its own investigation into Johnson & Johnson. Shares of Johnson & Johnson stock fell 10 percent following the publication of the Reuters report. The company decried the report as a “conspiracy theory” and continues to deny its substance. Meanwhile, thousands of mesothelioma-related claims remain pending. If you believe your cancer may be the result of using Johnson & Johnson’s baby powder, it is imperative you speak with a qualified attorney as soon as possible. Contact Fox & Farley, Attorneys at Law, at 866-862-4855 to schedule a free consultation with a member of our legal team today.